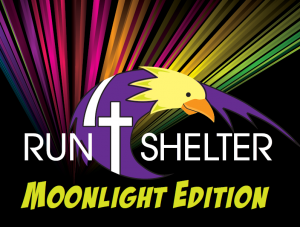 Run4shelter: Moonlight Edition is a 5K, 10K, After-Race Party that benefits Haven Ministries, Inc. The Run4shelter is named in honor of our shelter services, which is the only shelter in the entire county. Every guest receives a safe place, three meals, and case management services. For more information on Haven Ministries, please visit the website at www.Haven-Ministries.org. The 5k course will cover the scenic grounds of Terrapin Park on paved and gravel paths, as well as off-road sections of grass and sand. The 10k course will travel along the Cross Island Trail. Pets, roller skates, skateboards, strollers and other wheeled devices are not allowed on the course for the 5k or 10k. PLEASE NOTE: Due to permit restrictions, all runners must complete the course by 7:30 PM (2hr time limit for 10k, 1hr 30min time limit for 5k). FINISHER MEDALS FOR ALL 5K & 10K RUNNERS! Awards will be given to the top overall and age group male and female runners for both races! T-shirts and finisher medals to all participants (t-shirt sizes and availability not guaranteed for those registering after August 24). Water will be available at the halfway point of the 5k course, and at two locations on the 10k course. Course marshals will direct racers at major turns. Post-race food and drink will be available at the finish line. The use of iPods and other digital music players are highly discouraged for safety concerns. All preregistered participants are guaranteed a T-shirt. In consideration of my entry, I, for myself, my executors, administrators, and assignees do hereby release and discharge Haven Ministries, all sponsors, coordinators and all other race organizers and volunteers of all claims of negligence, injuries, damages, demands, and/or actions whatsoever, in any manner, arising from my participation in said athletic event. I attest and verify that I have full knowledge of the risks involved in this event and I am physically fit and sufficiently trained to participate in this event. Rules: Run 4 Shelter reserves the right to reject any entry. All entry fees are non-refundable and non-transferable even in the event the race is cancelled. This is noted on our registration application, and when you register for any of our events you must agree to this policy. You may not give or sell your number to another individual – if you do this could result in your disqualification as well as the runner who uses your race number. The entry fee for this year’s event will not transfer to next year’s event, no exceptions. This policy stays in effect whether you are injured, have an unexpected business or family emergency, pregnancy, etc. There are no exceptions. Pre-registration forms must be mailed no later than August 24, 2017. Signed waiver and release required for all participants. For the safety of our runners, we do not permit bikes, strollers, roller blades and pets on the course. Run 4 Shelter may change, revise, suspend, or discontinue any aspect of the awards at any time or terminate the awards at any time. Please note that shirts and finisher medals are guaranteed for preregistered participants. If you are unable to pick up your award, medal, or prize on race day, we will mail it to you after the race. Please fill out the Processing Form in the event you were unable to pick up your award race day.